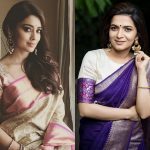 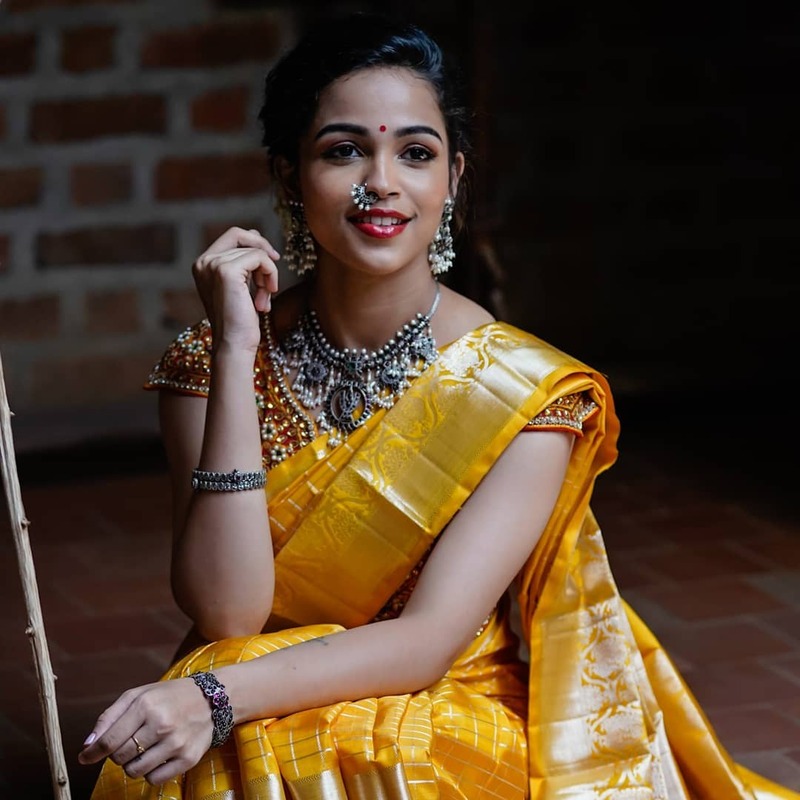 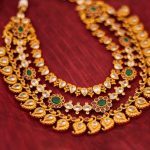 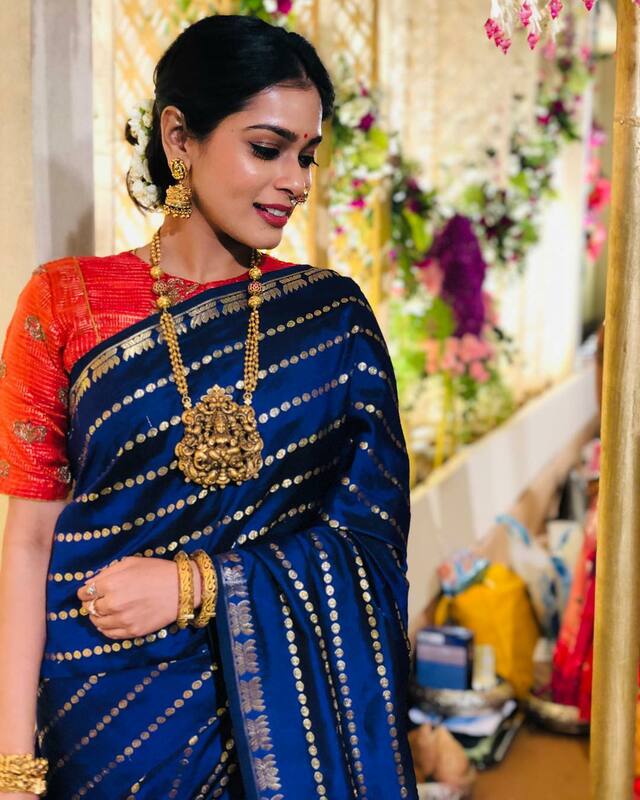 5 Necklace Designs To Own If You Love Silk Sarees! 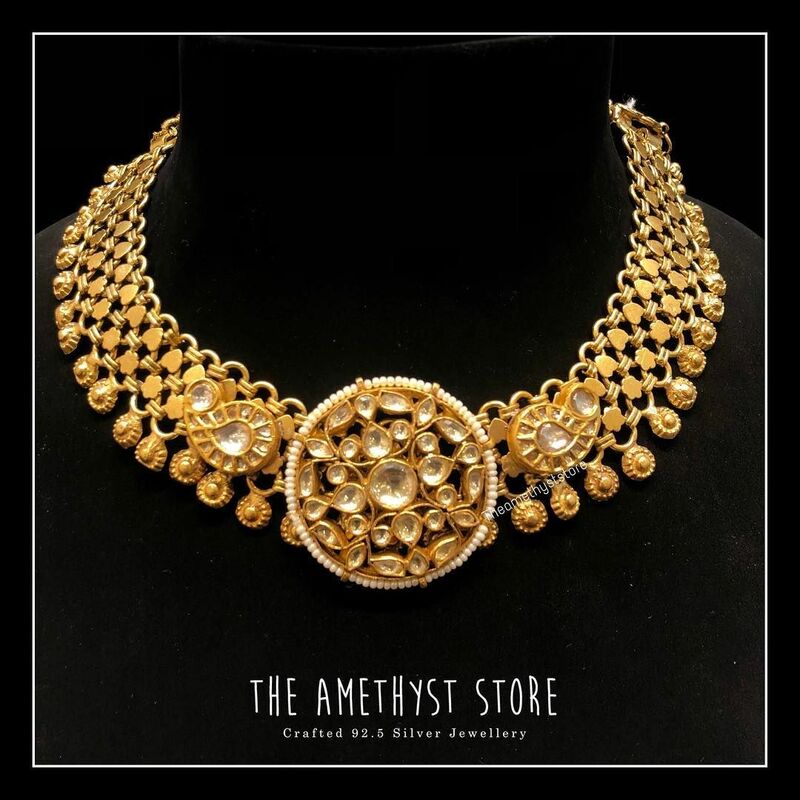 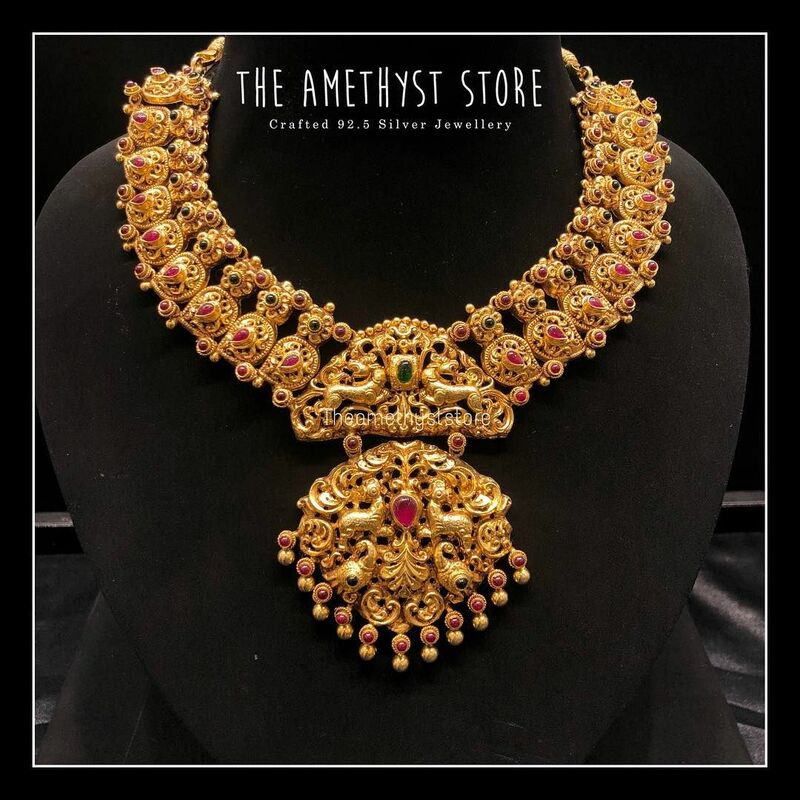 Necklace, the beautiful accessory has a way to spice up your saree look. 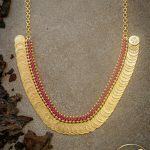 All ladies have a strong weakness for necklaces. 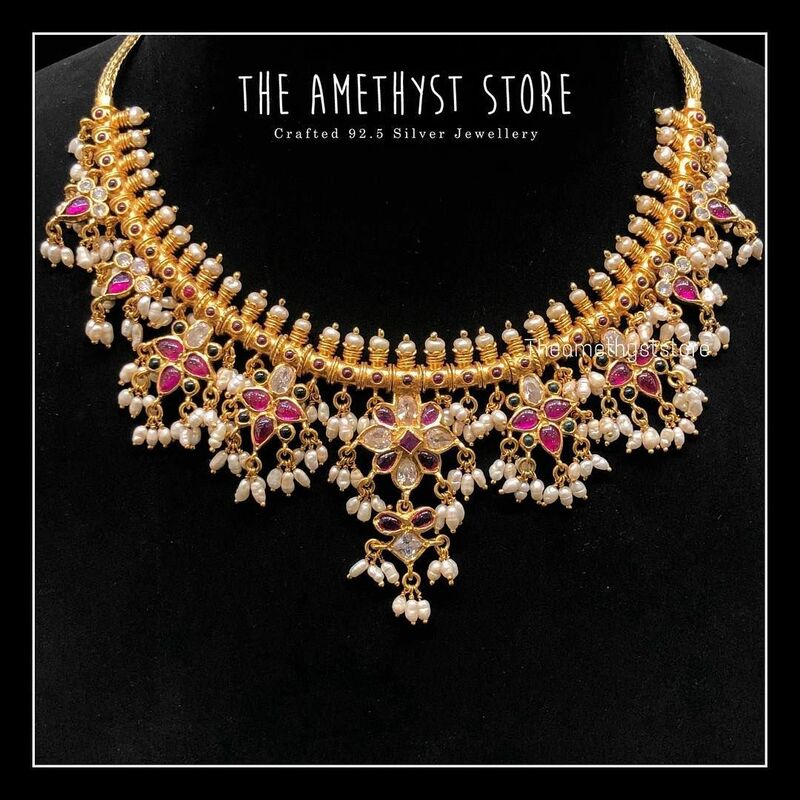 We cannot imagine our silk sarees without a beautiful necklace. 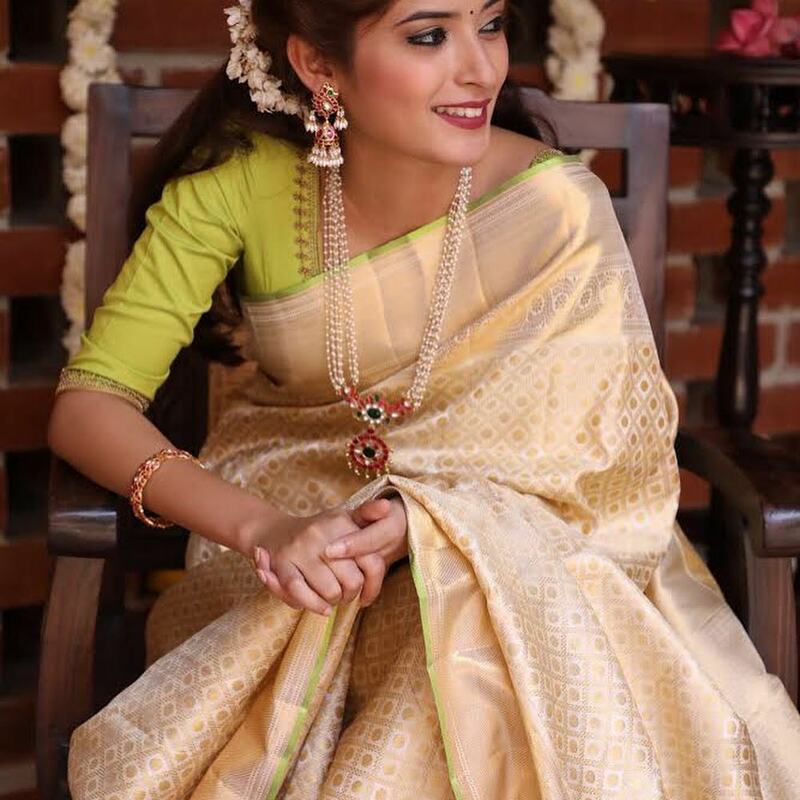 We have put together 5 necklace designs that you should consider if you love silk sarees. 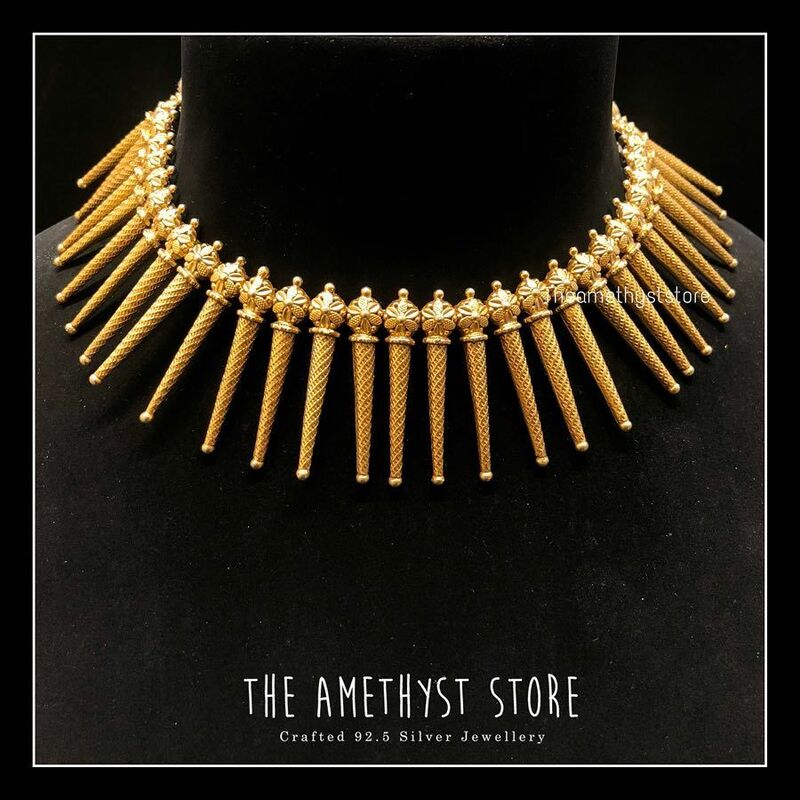 Love gold jewelry? 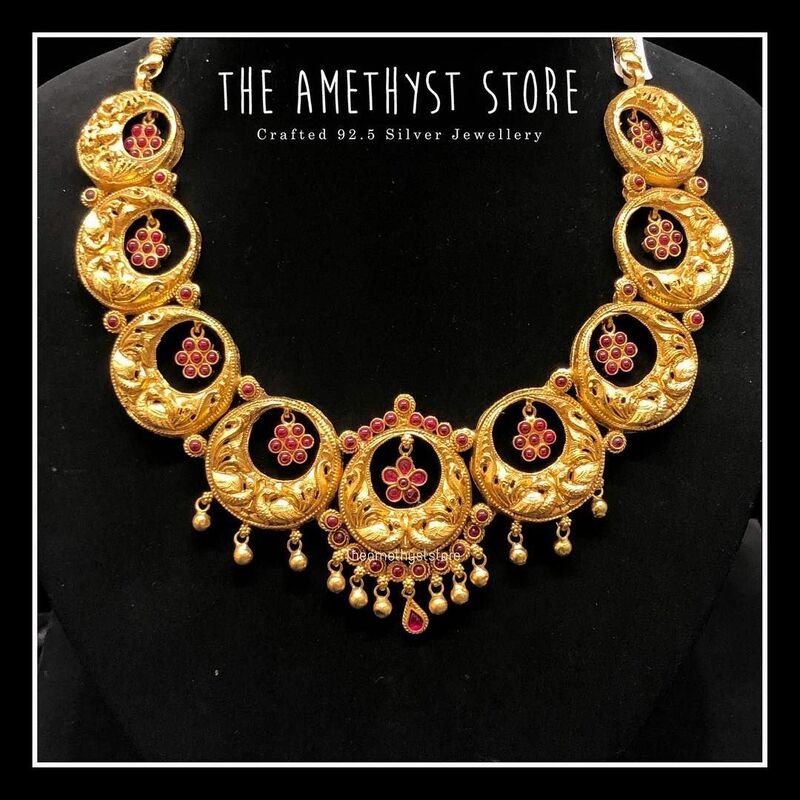 Get yourself a temple necklace like the one in the pictures. 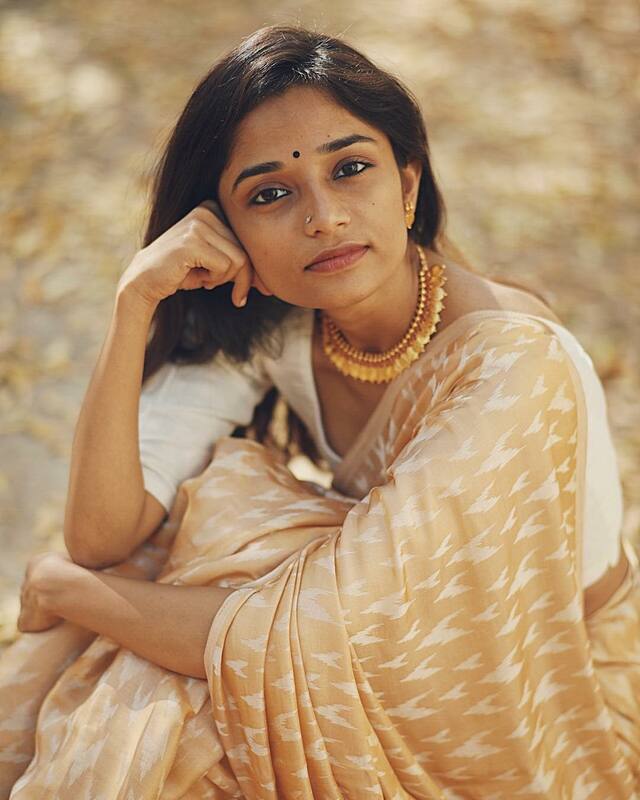 It goes impeccably with any silk saree. 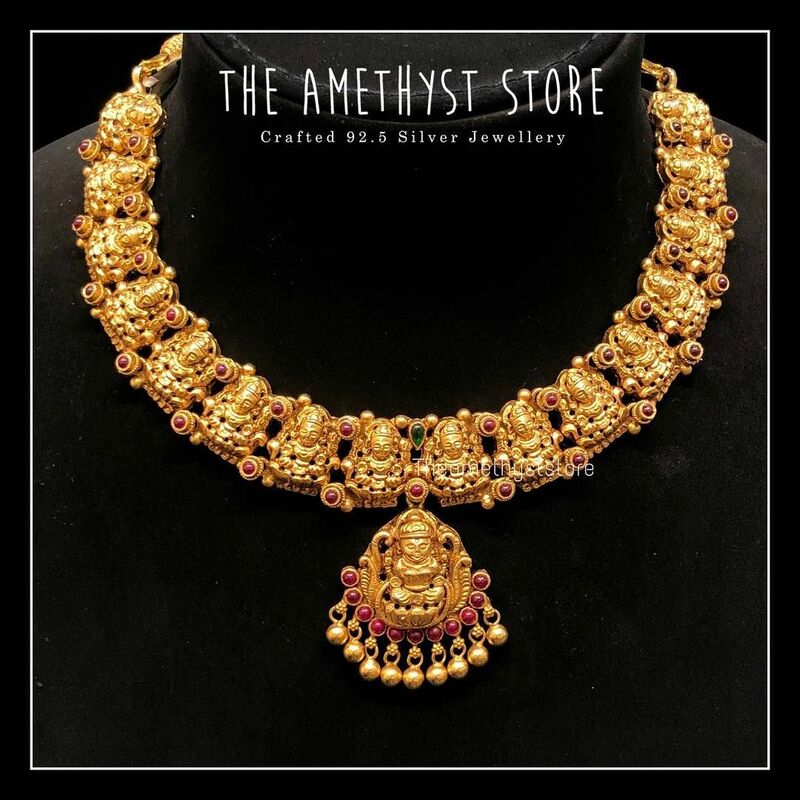 Make your silk sarees a head turner by wearing a flattering temple necklace. 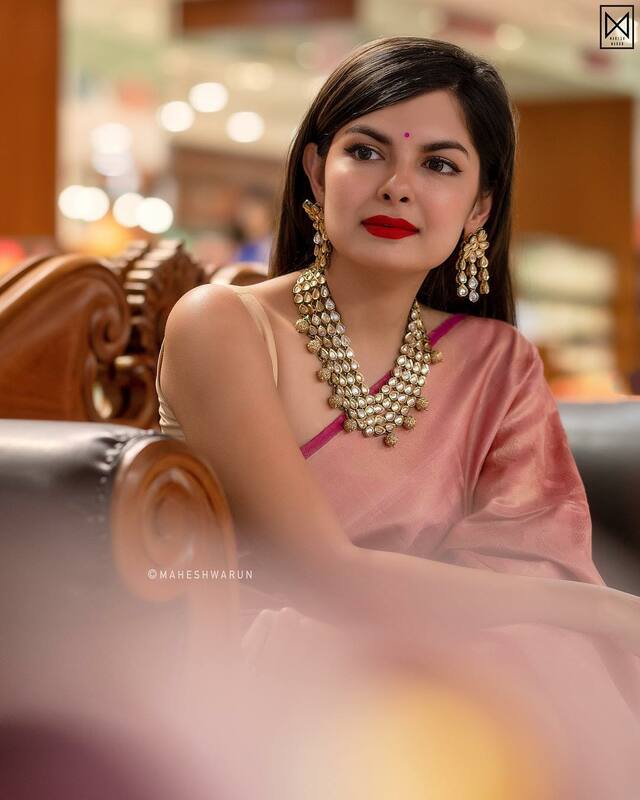 Kundan necklace is enough to add a stylish spin to any silk saree. 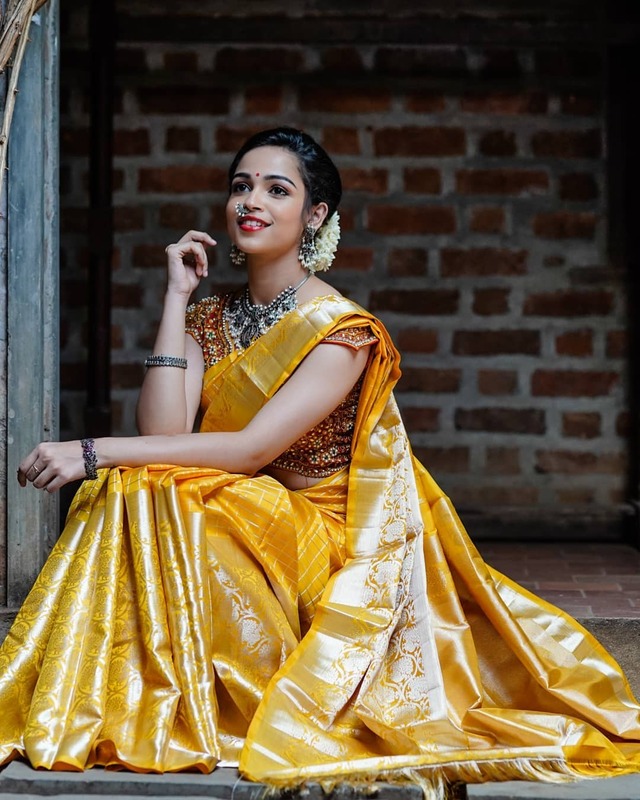 It can add an elegant touch to your silk sarees. 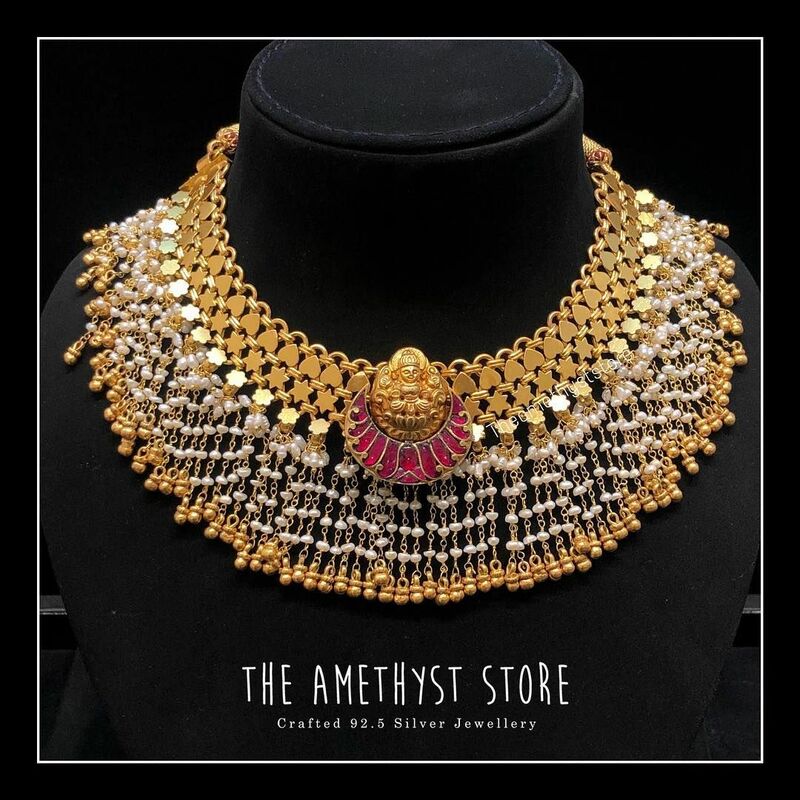 Throw in a bold kundan neck piece and be a stylish diva. 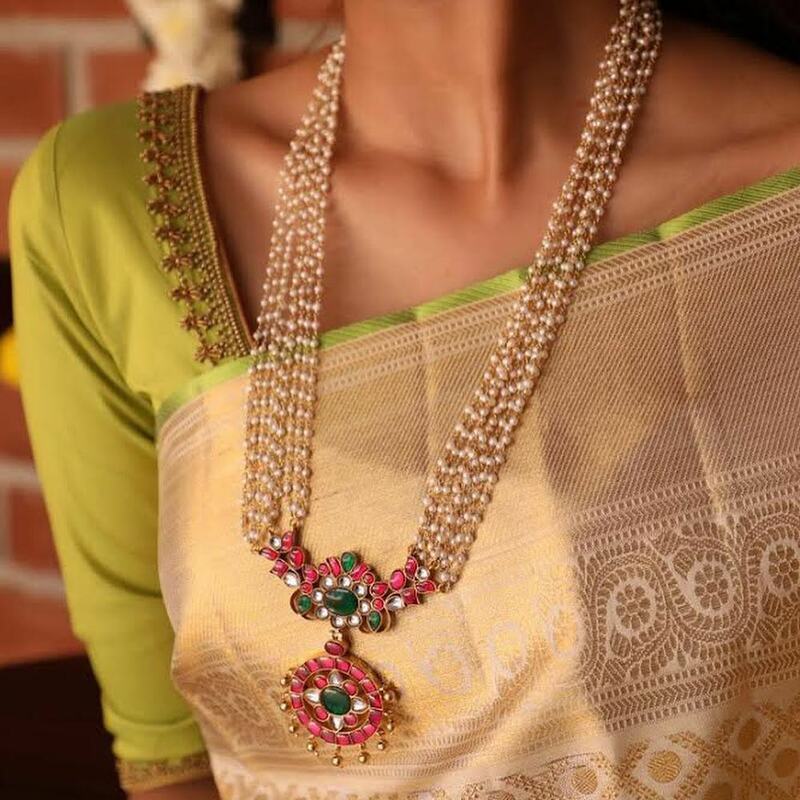 This kundan neck piece adds a fresh look to this silk saree. 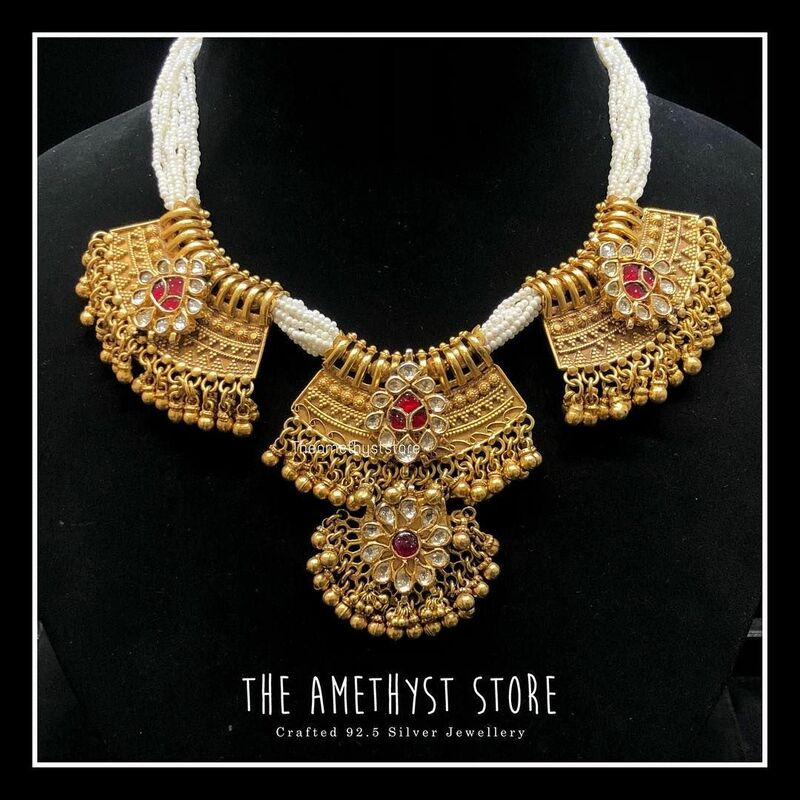 Guttapusalu necklace is a must-have for those who have a soft spot for silk sarees. 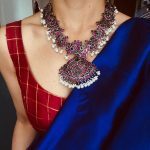 And this beautiful Guttapusalu necklace takes this silk saree to a new level. 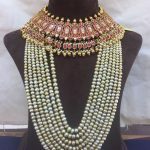 Pearl necklace just amplifies the richness of your silk saree. 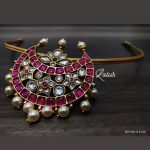 Wear this with bold jhumka and see how marvelous you look. 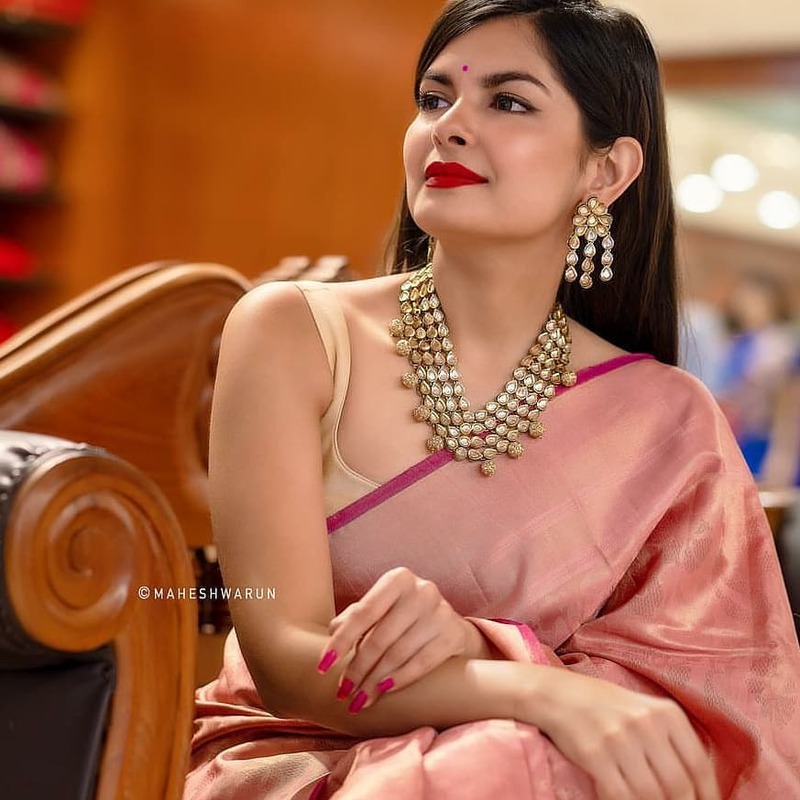 Accentuate the look of your vibrant silk sarees with a pearl necklace like the one in the picture and you are bound to appear regal. 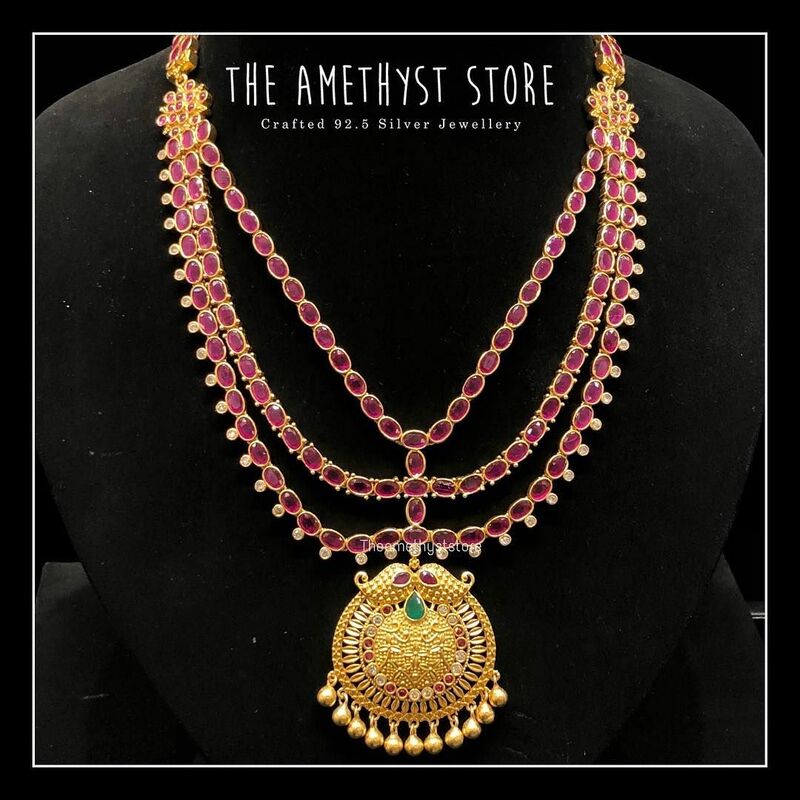 Give a chic vibe to your traditional silk saree by wearing coin necklace. 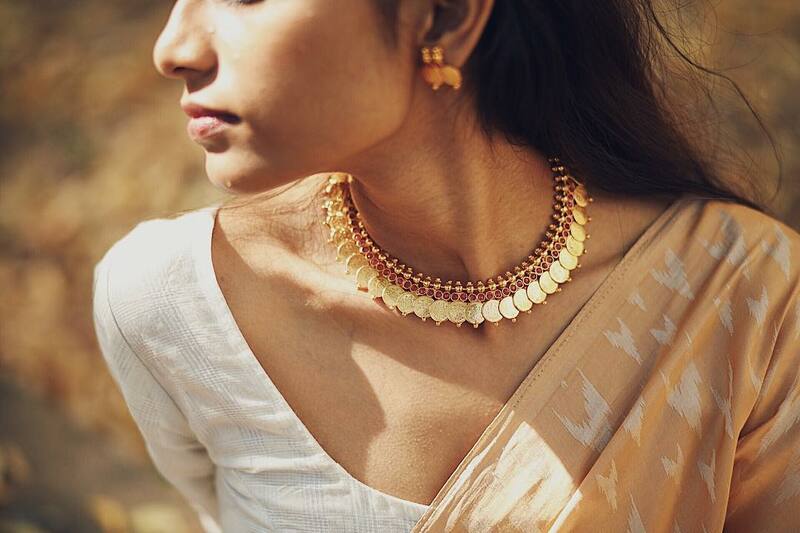 Coin necklace makes this silk saree look beyond stunning. 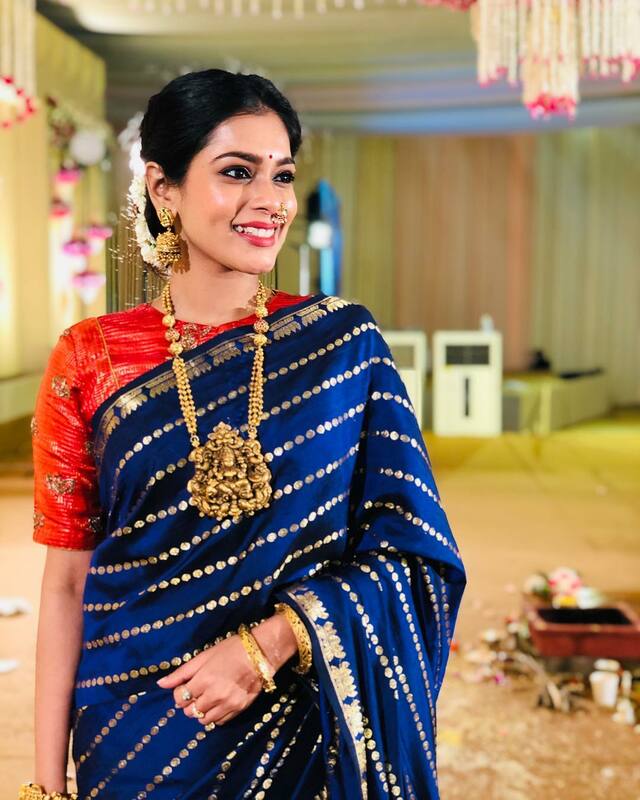 Can you see how a necklace can make your silk sarees shine through? 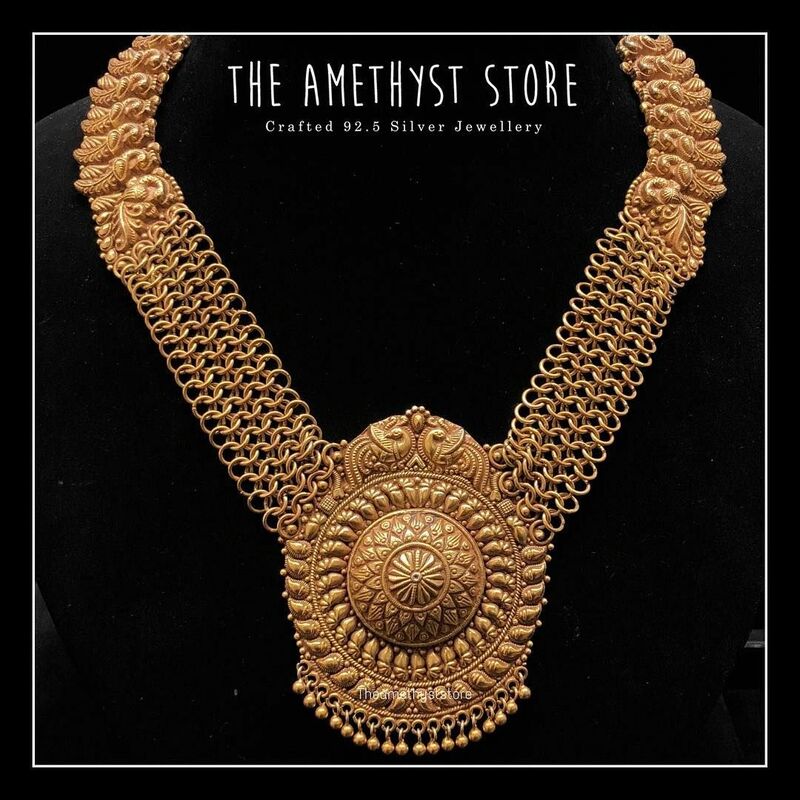 Try these incredible designs. 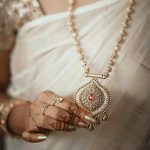 Previous articleKajal Aggarwal’s Jewellery Style is So Elegant!